Senator Coburn’s write up on U.S. homeland missile defense is misleading and unhelpful. Homeland missile defense is a strategic necessity in today’s world. The threat ballistic missile attack from rogue states or the threat of an accidental or inadvertent launch cannot be reliably deterred by threats of offensive retaliation. Investment in building and improving our homeland missile defenses is one of the strongest pillars in broad U.S. strategy to keep our country safe from ballistic missiles and weapons of mass destruction. Nevertheless, retiring Senator Tom Coburn’s recently released “wastebook” characterizes our homeland missile defense system as careless spending, alongside rabbit massages and butterfly farms. Aside from painting a distorted picture with misrepresented figures, the report ultimately fails to provide any alternative paths forward to address the critical need to defend the U.S. homeland against a limited ballistic missile attack. As a member of the Senate Select Subcommittee on Intelligence, Mr. Coburn should be well aware of the ballistic missile threats facing the United States. The report begins with criticisms of the GMD’s test record. Initially, it cites GMD’s success rate at 33%, but fails to mention that this record applies only to the newer CE-2 kill vehicle, which has only been tested three times. The CE-2 also represents a small minority of the Ground Based Interceptor’s currently deployed. While the first two tests of the CE-2 in 2010 failed, the most recent test in June was a resounding success, and demonstrated that the issues that caused the first two failures, excessive vibrations on the kill vehicle, had been resolved. This is how the engineering cycle works. Lessons learned from early testing translate into reliability and confidence later. All of our most reliable missile defense systems today experienced test failures in their early stages. Coburn also criticizes the early program developers, saying that there was a “rush to deployment” of the interceptors before they were properly tested. What his report does not mention is the fact that the “rush” to deployment was proceeded by FOUR successful intercept tests in the row. This gave the program’s developer’s rational confidence to move forward with deployment. Mr. Coburn’s report also dusts off the overly simplified argument that GMD testing is unrealistic. As MDA Director Vice Admiral James Syring has pointed out, the MDA does limit some variable in the testing in order to comply with safety regulations and to gather more accurate data of the system’s capabilities. All military technologies are tested in controlled, somewhat limited conditions. GMD is no different, yet the report seems to indicate that it should be held to a different standard. 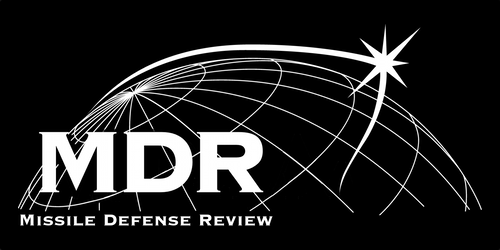 Furthermore, many aspects of missile defense testing do not need to be hyper-realistic to accurately gauge the performance of the system. For example, Mr. Coburn is correct that some of the GMD’s intercept tests have been conducted at the lower end of possible ICBM speeds. However, it is not the speed of the target that determines confidence in the system’s targeting precision. Consistent tracking and discrimination determine the precision of the targeting. As long as the interceptor functions and there is robust tracking feeding the interceptor with accurate telemetry data, the interceptor will hit, regardless of the speed of the target. Faster target missile would mean less overall engagement time, but does not affect the accuracy of the kill vehicle itself. Less engagement time can be addressed by having ample interceptors strategically located to allow for multiple shots to be fired at an incoming missile during its flight path. In reality, the most unrealistic aspect of our missile defense testing is that only one interceptor is fired at a target. In an operationally realistic scenario, multiple interceptors would be fired, greatly increasing the likelihood of a hit. The report also tries to say that GMD is more expensive than “missile systems of similar complexity.” This is false comparison. The report fails to mention which “similarly complex” missiles he is referring to, probably because there are no missile programs that come near the technical complexity of midcourse missile defense. It can be argued that Ground Based Midcourse Defense is the most challenging missile program the United States has ever undertaken. Nevertheless, it is the most viable program to provide United States with the strategic defense it needs. The most glaring flaw in Mr. Coburns report on missile defense, however, is the vacuous absence of any plan or new ideas to enhance the security of our country and the stability of the world. The commander of the U.S. forces in South Korea recently said that North Korea now likely has the know-how to mount a nuclear warhead onto a ballistic missile. Missile threats to the United States and its allies from rogue states are no longer looming on the horizon, but are staring us in the face. In the U.S. effort to confront these threats, there is simply no room for political theatre. This entry was posted in Budget, Congress, Ground Based Midcourse Defense System and tagged ballitic missiles, ICBM, James Syring, North Korea, Senate Select Committee on Intelligence, Tom Coburn. Bookmark the permalink.